But modesty and comfort are the keys to a good night's sleep. 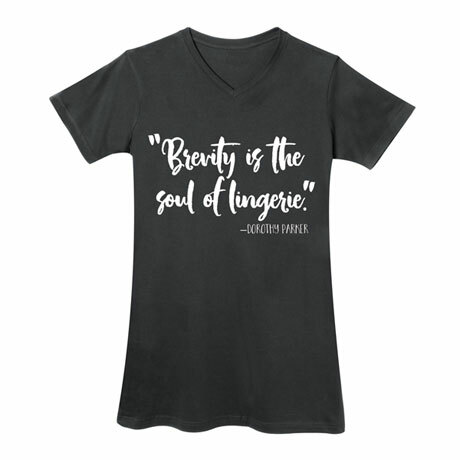 Ms. Parker would appreciate the irony of this roomy nightshirt in soft 100% cotton, sizes S/M or M/L. Hangs 35". Imported.